Debugging is an art. 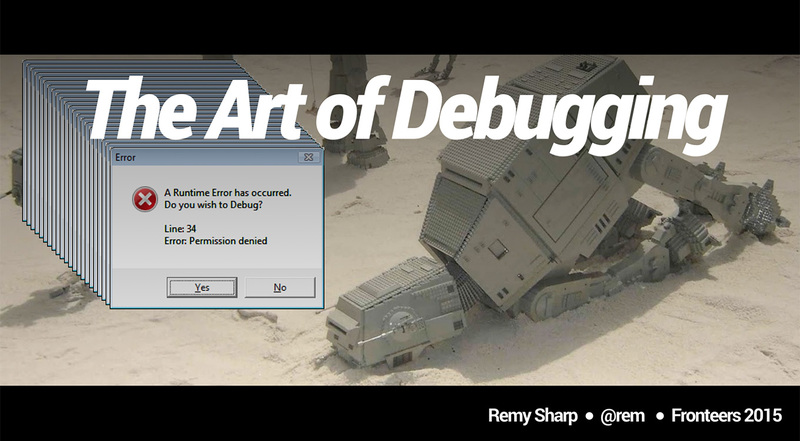 Become the Picasso or Andy Warhol of debugging, and learn how to use every tool available for debugging. And in fact, I lied a moment ago, "don't write bugs" is the exact opposite to learning to debug. You need experience. You have to encounter bugs to be able to recognize how to approach them. They had the chance to dabble in so many areas of the business whereas other developers were coding the same single feature for 3, 6 even 12 months, and even then, it would go live, have bugs, and our bug catcher would swoop in, fix the bug, and get a slice of the glory. Attaining that hands on experience, I believe, is key to both being a good developer, but really, knowing how to debug anything. The designer from that company 10 years ago, Chris - he was the CSS wiz. He knew all the answers when the server side devs would get stuck with simple things. I'd often find myself asking him why the layout had broken so baldy in what I thought was a relatively simple design. His answer, quiet often, was "add zoom: 1 to that element." If the site they're talking about is jsbin, then I know saving does work, because I just used it, it just means that saving it's working for them (and potentially others). Translation: saving could just be working for me. I can say for certain that I get at least one bug filed each year which is usually very strange and comes down to a rouge extensions on the user's browser that's interfering with the web site code. The troll user is particularly useful, because it's very easy (for me) to forget that some users have higher security settings and the result is that APIs likelocalStorage will throw exceptions - which if are uncaught, could cause chaos. The other significant time I encountered this type of problem was back when I used Firebug (which stopped around 2009-2010). Firebug is/was an intrusive debugging tool that would inject content into the DOM to achieve the debugging. 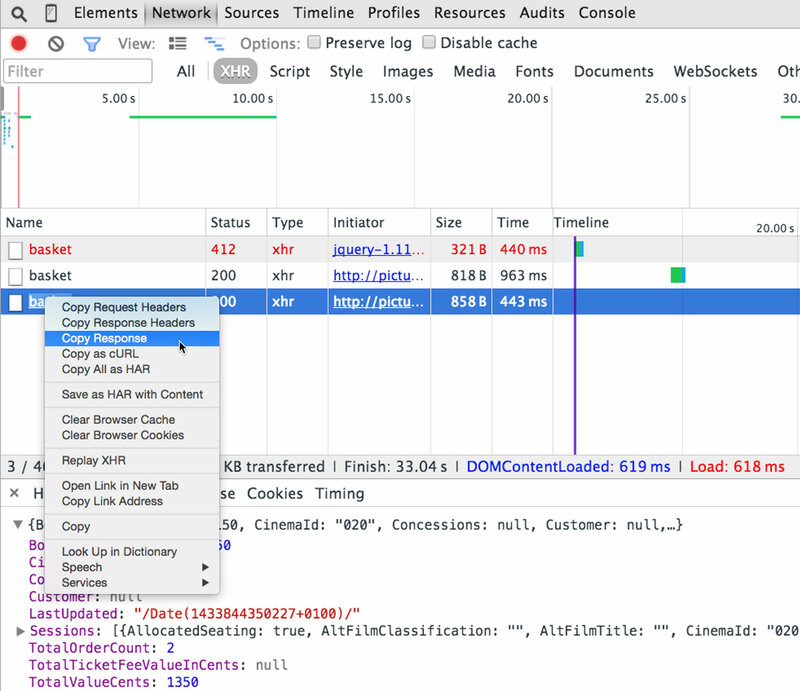 It also had bug (as does devtools and all the other debuggers - see the start of this post!). It meant that there were certain edge cases that you could run into that would trigger bugs in the debugger making debugging extra...challenging. I acknowledge these aren't good names. By inside out, I mean that the source of the bug is known. Usually a particular function or line of code, and a debuggerstatement can be added, a breakpoint or a conditional breakpoint (break when an expression is truthy). This doesn't complete the step though. To let devtools know that a particular origin, like http://localhost:8000 is being served from your new workspace, you need to map at least one file. Right click a file from the origin list, and select "Map to file system resource," and select the local file it relates to. The visualization of the network requests is useful, but I also find that inspecting headers and copying the raw response is extremely useful. Profiling can take two approaches. The first is to capture two heap dumps, one at the start of the interaction, and one at the end. I might also run two interactions, but before I start the second run, I'll force a garbage collection. The task is then to compare the deltas. I'll select the second heap dump, and change it from a "summary" to "comparison" and order by "deltas." Now I'm looking for is red items in memory. These are items that couldn't be garbage collected.